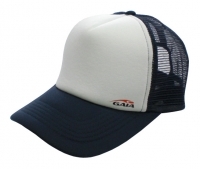 With a Mesh Cap you are always well dressed, apart from the super practical sun protection! Additionally it has a suitable style for everyone. For best comfort and perfect fitting it has the mandatorily adjustable clicking. Mesh on the back of the Cap provides on hot days pleasant cooling.